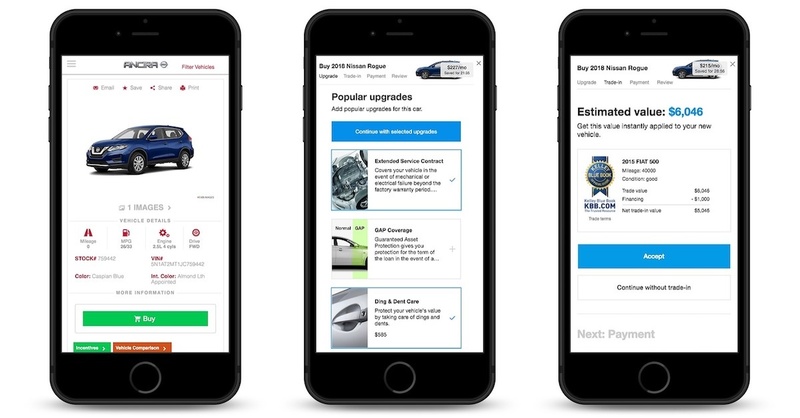 Offer customers an easier, faster, and more transparent car-buying experience. Turn your website into an ecommerce engine with online checkout and start taking car orders online today. Our solution includes a buy button that is added next to every vehicle on your website and lets shoppers order their next vehicle directly on your website.